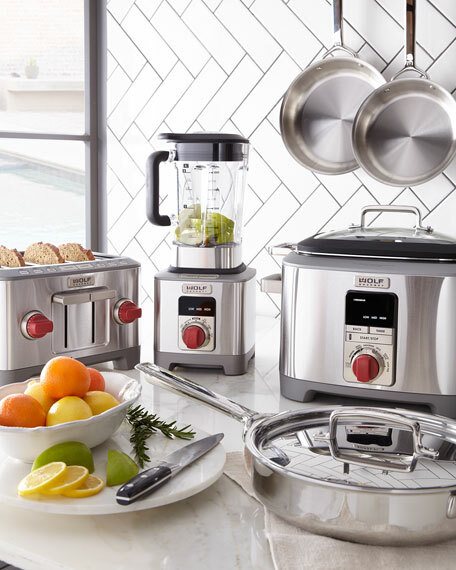 With so many customizable and intelligent features, there's no shortage of ways to use this multipurpose appliance to your advantage. Preprogram your dish to cook on two different temperatures, or program your meal to be ready exactly when you want to serve it. 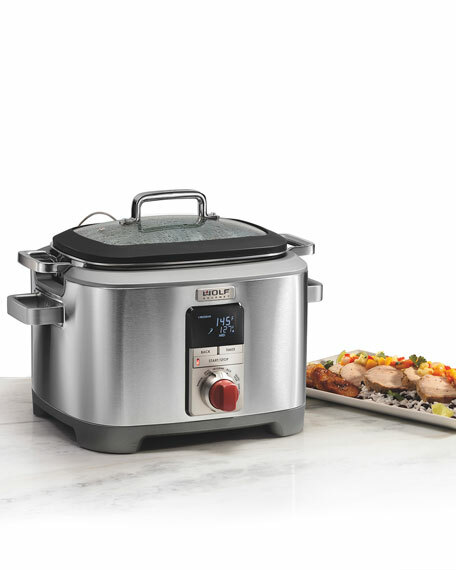 Another special setting ensures you'll never overcook a piece of meat again; it will cook your food to the exact temperature you specify using an included temperature probe, making for fall-off-the-bone ribs and mouthwatering pork shanks. You can also use the included stainless steel vessel just like a Dutch oven, both on the stove and in the oven. 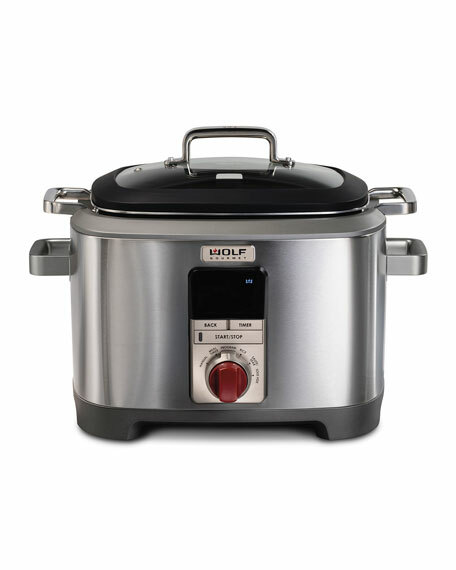 Because there are so many different ways to use the Wolf Gourmet Multi-Function Cooker, this tool is sure to become a part of your regular routine in the kitchen. 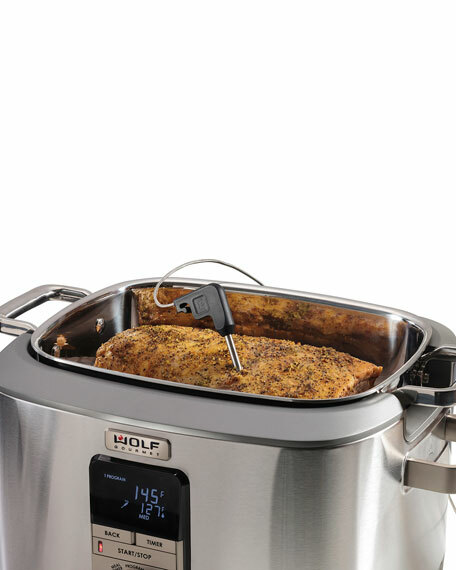 Wolf Gourmet® Multi-Function Cooker: the kitchen appliance you'll reach for time and tine again. Stainless steel construction is a seamless complement to Wolf cooking appliances. 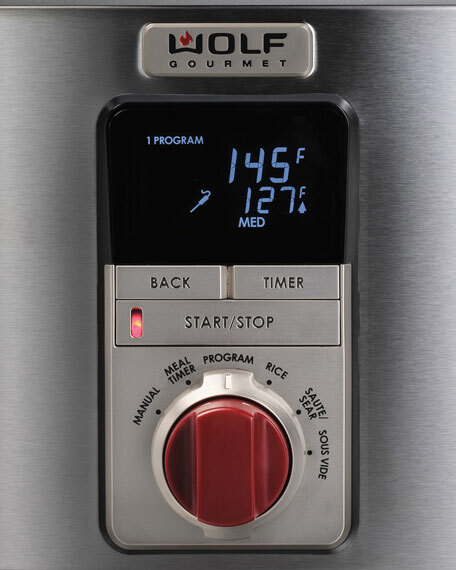 Intuitive LCD programmable panel controls allow for simple selection of desired cooking mode, time, and function. Six cooking modes: manual, meal timer, program, rice, sauté/sear, and sous vide. Versatile cooking vessel included: removable, 7-quart, stainless steel tri-ply vessel can be used like a Dutch oven, both in the oven and on any cooktop, including induction. 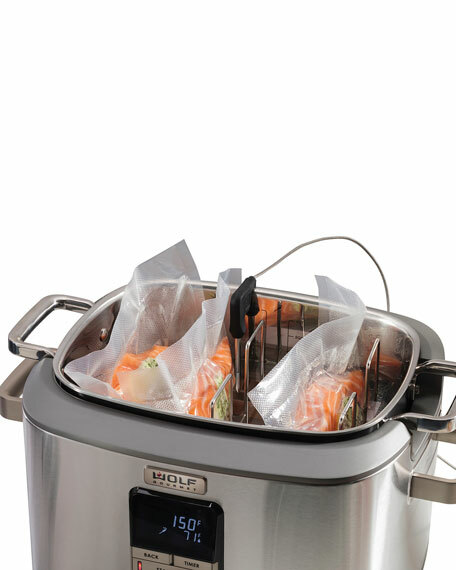 Removable sous vide rack included. 17"W x 14.5"D x 11"T.